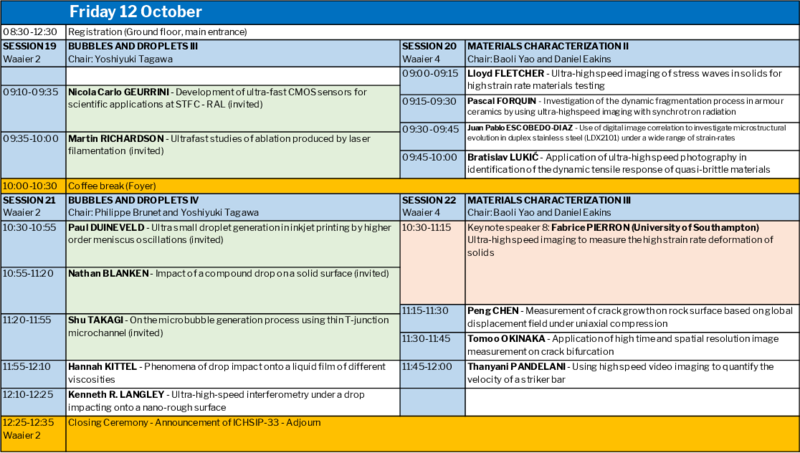 The technical program of ichsip-32 includes 23 sessions with 125 abstracts scheduled for presentation during the meeting. 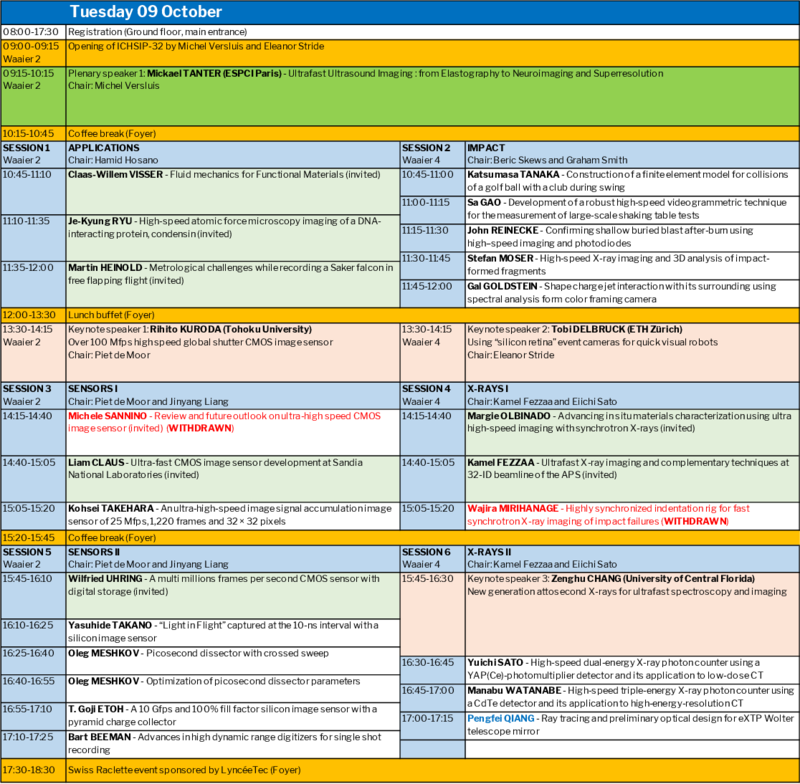 The technical program committee is proud to present three excellent keynote speakers who will open the morning sessions on Tuesday to Thursday. In addition, eight keynote speakers will inspire the crowd with recent breakthroughs in high-speed imaging and photonics. 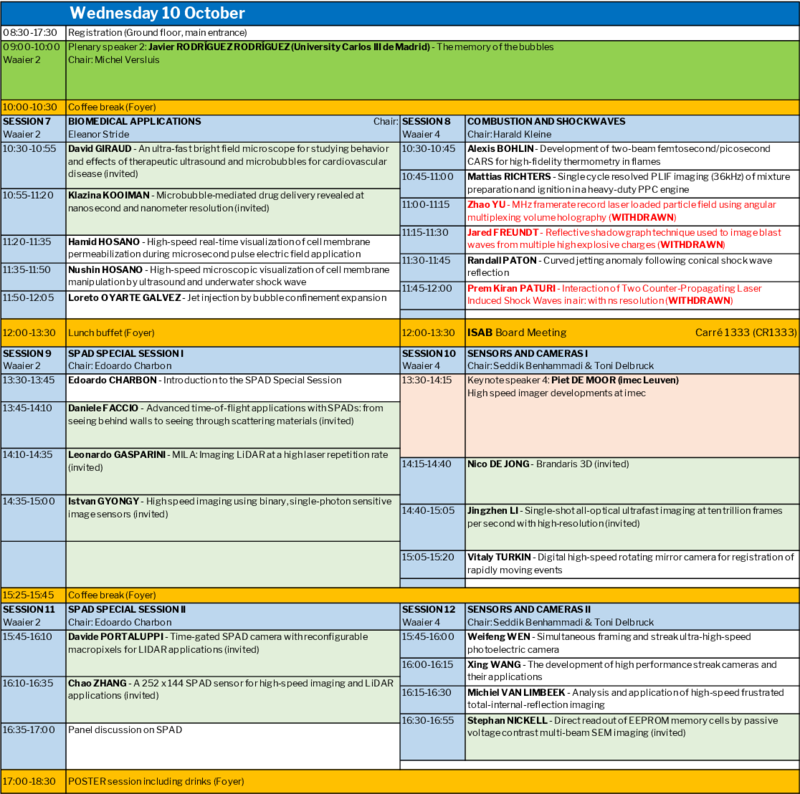 The program is complemented with invited expert talks of 25 minutes, including questions, and contributed talks of 15 minutes, including questions. 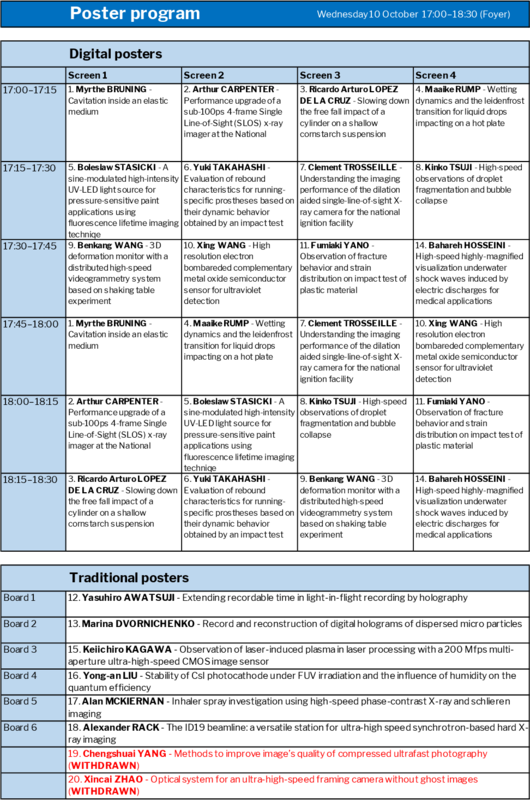 One session is scheduled in poster format both with traditional poster presentations as well as four digital poster boards. 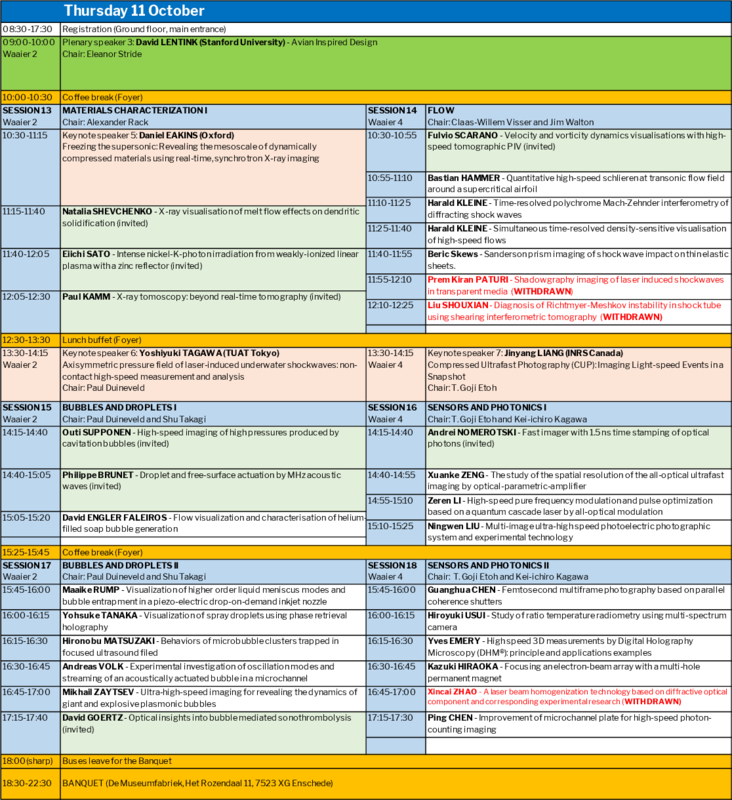 You can download the program here: ICHSIP-32 program.